One Year, One Price. Unlimited Waxing! 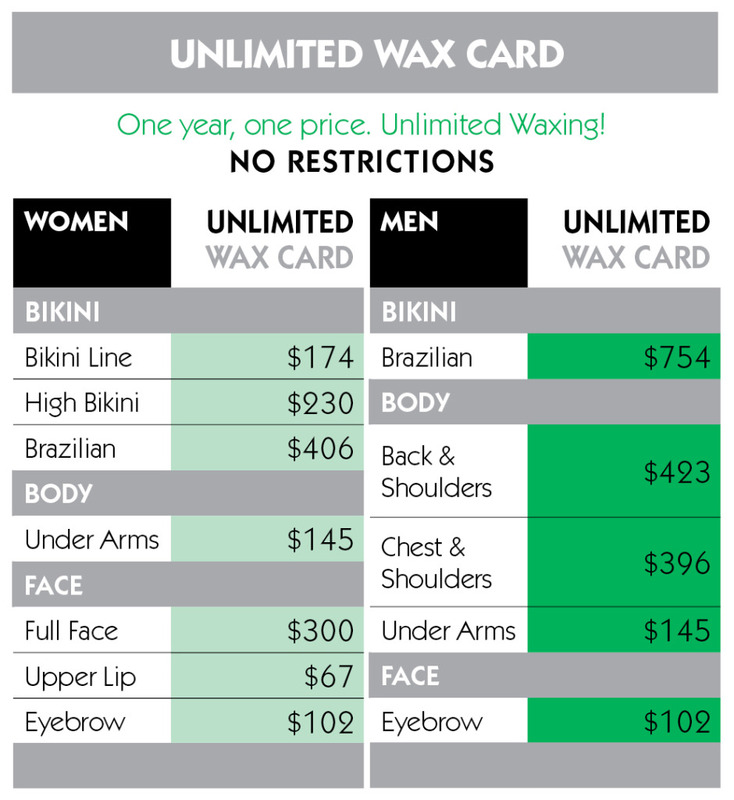 The Unlimited Wax Card is perfect if you frequently wax, and you don’t want to restrict yourself to a specified number of waxes. Not transferrable.